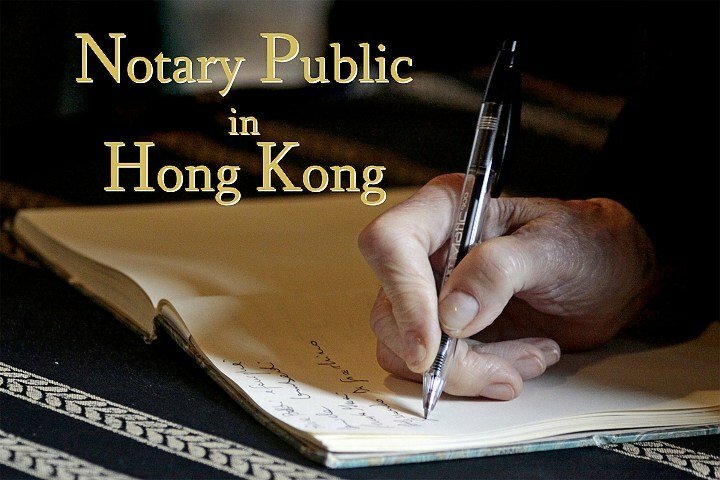 The quick guide of seeking Notary Public in Hong Kong | AsiaBC HK: Register Company. Open Bank Account. Save Tax. Certified True Copy, Power of Attorney and Declaration are the legalized documents which are usually required by the financial institutes and government authorities from the owners these documents to complete some sort of applications. If you are in need of obtaining legalization of your documents, then you should seek help from Notary Public. This article is your quick guide of seeking help from them in Hong Kong. What is Notary Public in Hong Kong? A Notary Public is a legal profession appointed by the Hong Kong High Court under the regulation of Legal Practitioners Ordinance (Cap. 159 of Laws of Hong Kong) to serve the public by preparing, and providing authentication and execution of documents for use and acceptance overseas (except Mainland China) under his signature and official seal. The signature and official seal of the Notaries Public in Hong Kong are widely recognized internationally. The name of a Notary Public must be registered in Register of Notaries Public kept by High Court of Hong Kong. As of March 2015, there are over 350 Notaries Public registered in Hong Kong, they are usually experienced solicitors who has been in practice for at least 7 years. All Notary Public has been qualified by the Notaries Public Examination held by Hong Kong Society of Notaries in additional to the appointment of the High Court. What does a Notary Public can do? The saving of documents which originate in Hong Kong for use in Mainland China. If a Notary Public is also a Solicitor, notarial services can be provided in additional to general legal service at the same time. Some recipient bodies requires that the documents bearing the signature and seal of the Notary Public (i.e. Notary Public’s Seal on notarized documents) must be “further authenticated” to verify the identity, signature and seal of the Notary Public in Hong Kong. For the jurisdictions of recipient bodies which are member of Hague Apostille Convention, the process of “further authentication” can be replaced by Apostille by the High Court. When the notarized documents are destined for non-Hague Apostille Convention states or territories, legalization of the identity, signature and seal of the Notary Public by the relevant diplomatic representative of the state or territory in Hong Kong before these can be used in that state or territory. Public documents bearing the true signature of an official party such as a Hong Kong SAR Government recognized officer. Documents signed by a notary public or a Commissioner for Oaths in Hong Kong. Therefore, if you have a business contract that need Apostille Service, you have to seek help from a Notary Public to complete notarization on this document, then submit to the High Court for Apostille Service. If you outsource the task to others, you should expect the cost should be the sum of Notary Public’s Seal and Apostille Service by the High Court. For the details of Apostille Service by the High Court in Hong Kong, please refer to here. How long is the term of appointment of Notary Public? A Notary Public appointed in Hong Kong has no expiry date of the term of office. However, a Notary Public is required to renew his or her practising status annually. The Notary Public quote a fee in advance for their professional notarial service, the fee is usually depending on the complexity of the notarial matters i.e how long the Notary Public will have to spend on this matter to complete the work. We found a fee guideline on the website of Hong Kong Society of Notaries, feel free to take a look here. Notarial services in Hong Kong is easy to access and low cost. As Hong Kong is a member of Hague Apostille Convention, notary public in Hong Kong are widely recognized worldwide. Since the recipient bodies hold the final decision of whether a Declaration, Certified True Copy and Power of Attorney is accepted or not, you should strictly follow the requirement of the recipient body and seek help from help.